American astronaut Neil Alden Armstrong (Aug. 5, 1930-Aug. 25, 2012) was one of the first two humans who landed on the Moon in the Apollo 11 spacecraft on July 20, 1969. Today, Aug. 5, 2015, marks Neil Armstrong’s 85th birthday and interestingly enough, if number 85 is interpreted as calendar date 8-5, it signifies his birth date, August 5. Isn’t this a unique coincidence? In addition, if numbers 1 to 26 are assigned to the letters of the English alphabet as A being 1, B is 2, C = 3, etc., 85 corresponds to the difference of the sum of the numbers assigned to the letters of “Neil” and “Armstrong” (which are 40 and 125 respectively). Number 85 expressed in binary number system equal 1010101, a palindrome number. 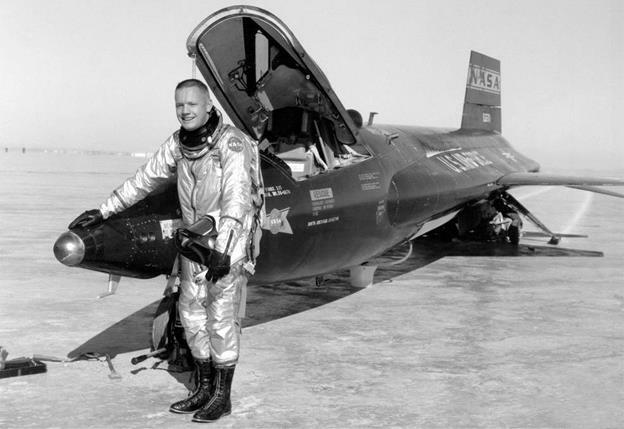 Interestingly enough, the sum of the numbers assigned to the letters of “Neil Armstrong” is 165 and if this number is also expressed in binary, it equals 10100101, another palindrome number having an extra zero digit in the middle of 1010101.Doesn’t this make Armstrong’s 85th birthday even more special? Happy 85th birthday to the great honorable man, Neil Armstrong! View more birthday brain teasers from Aziz S. Inan, Ph.D., at http://faculty.up.edu/ainan/publications.html.